It's coming back into vogue right now with a couple of organic dressing makers having varieties of it but the ingredients list has changed drastically over the years into something that just no longer resembles the original. So the quest was on. 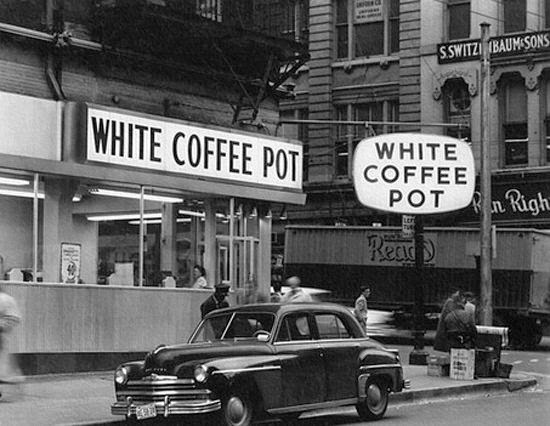 I searched for an original recipe and found that while many claim to be original they can cannot prove it as the original seems to have been lost to history. 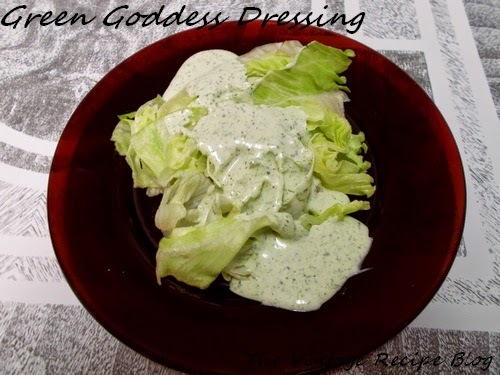 Finally I found this incarnation which is a copy of the type of Green Goddess Dressing served at the former White Coffee Pot Restaurants in Baltimore, Maryland. I remember going to these restaurants as a kid but their popularity slowly declined through the 1980's until the last one in Brooklyn Park closed in 1993. Their legacy lives on in the hearts and minds of Baltimoreans everywhere though and it was fun to make this dressing and touch not only the 1920's history I love, but a little of the history of my hometown of Baltimore, whom I will never forget. Combine all ingredients in a blender and mix on the "Blend" setting until all herbs are well combined and dressing has a green tint. Store in a sealed container in the fridge for up to a week.